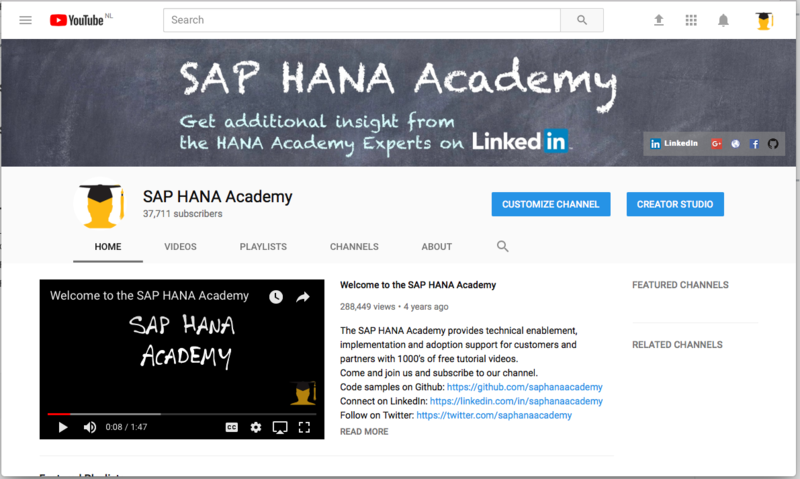 The SAP HANA Academy offers free video tutorials about SAP HANA on YouTube. In this blog, you will find the most recent blog posts listed. Feel free to post your comment about topics you would like us to include. Thank you for watching. What’s New for Predictive in SAP HANA 2.0 SPS 01? What’s New for Predictive in SAP HANA 2? What’s new for predictive in SAP HANA SPS 12? XS Advanced – how to access the predictive analysis library? 1.Is SAP HANA life cycle manager and SAP hana DB life cycle management are same in SPS 12? 2. The option “Un-register the SAP Hana system” in HDBLCM (SPS12) is same as that of the option “Uninstall the SAP HANA System ” in the HANA life cycle Manager? I believe the answers would be 2,4& 5. Can you please clarify above question when using SAP HANA System on SPS12. You might want to double check the SPS 12 videos about LCM; I’m sure it is covered. Thank you so much for the clarification. This is very helpful. And also thank you for providing the full playlist about installation and update.